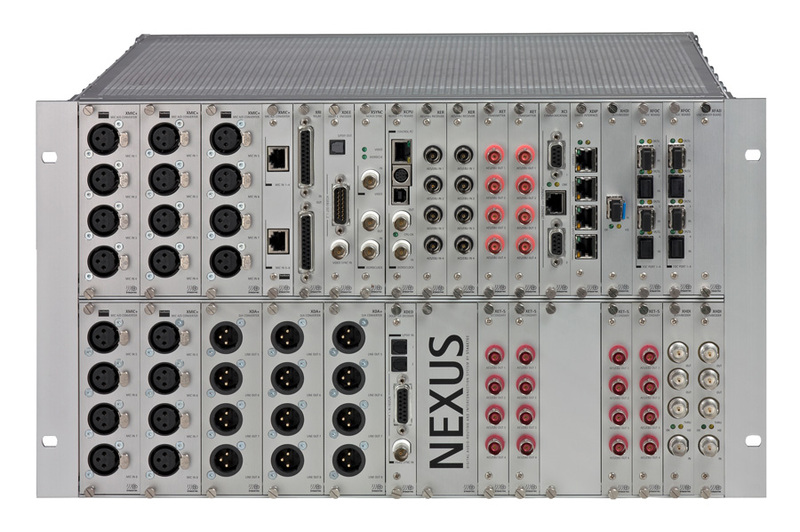 An 8 x 8 matrix for routing MADI streams, with extensive control facilities and compatible with all MADI formats . Several other DirectOut units are available for extending the capability of the MADI.BRIDGE and for converting between MADI and other audio formats: The ANDIAMO 2.DA and 2.AD handle MADI and analogue conversion; the ANDIAMO.AES converts between MADI and AES3 and the ANDIAMO 2.XT between MADI and both AES3 and analogue, with SRC as an option. DirectOut Technologies’ MADI.BRIDGE is a versatile MADI stream router for installation in broadcast facilities and large-scale live sound venues. It has eight MADI inputs and eight MADI outputs, and the source for any output can be selected from any of the inputs. 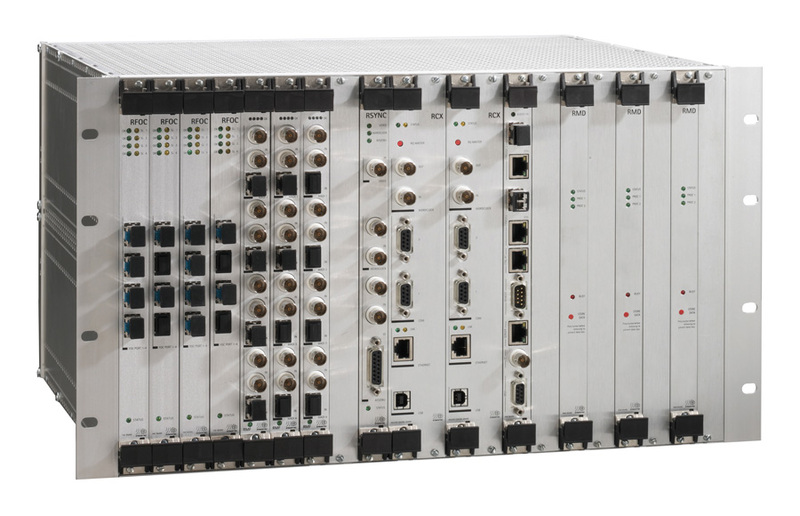 This includes one-to-many routing, allowing the unit to be configured as a 1-in 8-out MADI DA (or two 1-in, 4-out DAs, etc.) if needed. MADI.BRIDGE also provides full signal buffering and re-clocking. Six of the ports are in the form of BNC socket pairs (input and output), while the other two are via dual, multi-mode optical SC connectors. Alternative optical connectors may be fitted on request. Routing control from the front panel is very simple: a pair of up/down buttons for each output selects an input source; its number is displayed on an adjacent, large 7-segment LED. Additionally, there is an 8 x 8 LED dot matrix display which presents the routing configuration in graphical form. The front panel controls can be locked to prevent inadvertent tampering. A particular benefit of MADI.BRIDGE is its compatibility with all MADI formats. Standard sample rates of 44.1, 48, 88.2, 96, 176.4 and 192 kHz are supported, as well as 48k and 96k frame rates and 56 or 64 channel formats. MADI.BRIDGE offers total transparency to input signal formats; channel count, frame rate, sample rate, control data and user bits are passed to the selected outputs without alteration. This transparency extends to formats that do not fully meet standard MADI protocols. Remote control via USB or MIDI will be available in a future firmware release. This will include an extension of the control lock feature, to prevent alteration of the current routing patch from a remote location. The USB port also facilitates firmware updates. MADI.BRIDGE occupies 1U of rack space with a depth of 200 mm. Dual redundant universal PSUs with independent IEC inlets are fitted for maximum reliability; only one PSU is wired via the front panel power switch to ensure continued operation in the event of accidental switch-off.